Has your home or business been flooded? Do you have standing water in your building? If so, time is of the essence! Call the Flood damage restoration experts at Complete Clean Water Extraction immediately for quick action to alleviate the problem at (210) 239-0486. Whether from heavy rains or a pipe that has burst, Complete Clean Water Extraction is prepared to assess your flood damage and devise a plan of action to fully dry out and restore your entire property. Call the flood restoration experts at Complete Clean Water Extraction for speedy flood water removal to avoid growth of mold and other microorganisms. Complete Clean Water Extraction has provided all types of water damage services to local families and businesses since 2003 and specializes in full home water dry out and flood restoration services. We have built an impeccable reputation as flood water removal and flood restoration experts. Put our experience to work for you. 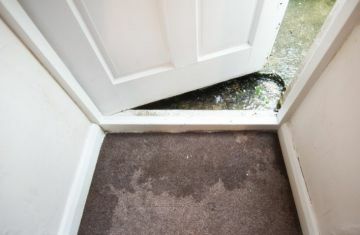 After Complete Clean Water Extraction removes all standing water, we will remove and discard any items damaged beyond repair. Next, we'll quickly and thoroughly dry all walls and flooring and make sure all moisture is gone. Bacteria and mold grow quickly in dark, damp environments, such as sub-flooring and behind water-damaged drywall. Complete Clean Water Extraction employs powerful drying equipment and moisture detection systems. Before the restoration process begins, we'll ensure that all moisture is removed. Lastly, your property will be professionally restored to your satisfaction.